The countdown to Christmas has begun and Wincanton Racecourse is offering 5th December race-goers the chance to get ahead of the game with the inaugural Clarks Village Christmas Experience Race Day. On Thursday 5th December Wincanton's Paddock Pavilion will be transformed into the ultimate Christmas shopping mall. Supported by Clarks Village and a wealth of independent retailers, race-goers will have the chance to sample Thorntons chocolate fountain, receive complimentary beauty treatments from The Body Shop and observe the latest winter fashion by Joules and Jaeger with models immersed within the Somerset crowd. Other outlets include Purely Boys Limited, selling the perfect stocking fillers for boys, Le Creuset, Mountain Warehouse, Heat & Fury (bespoke handbags) to Lancombe Saddlery and many more. Steve Parlett, General Manager, explains: "Our 5th December meeting is a popular race day and this enhanced Paddock Pavilion will enable race-goers to get ahead on their Christmas shopping, while enjoying their favourite sport!" 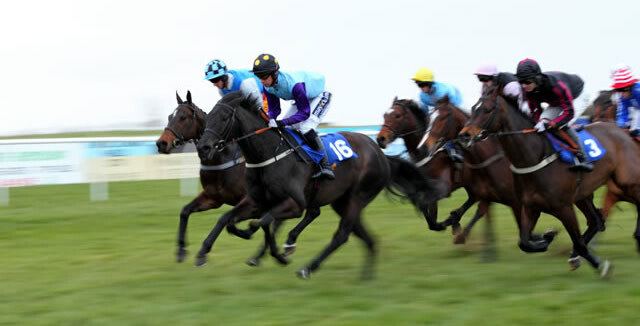 Advance entry to Wincanton Racecourse starts from £12. Gates open at 10.30am with the first race off at 12.40pm. Full details can be found online at www.wincantonracecourse.co.uk or call 0844 579 3014. Wincanton's other December meeting – Boxing Day – is for the first time ever offering a group booking discount on six tickets or more. This popular race day is the highlight of the Somerset social calendar with an array of hospitality packages available to make the festive meeting even more enjoyable. Hospitality is a notoriously fast-selling affair – please access full details at our website.